When a world-leading manufacturer of modular positioning systems joins forces with a renowned expert for drive and control units for roller shutters, sun protection and doors, one would expect a lot of things – but hardly a little revolution in the area of barrier-free living. However, this is exactly the declared aim of an ambitious project carried out by Bahr Modultechnik GmbH and Becker-Antriebe GmbH. The two companies are committed to close the “gap” in the field of Smart Home technology and to realize accessibility in its original sense – i. e. the overcoming of height differences – in any situation within shortest time periods and without great construction efforts. 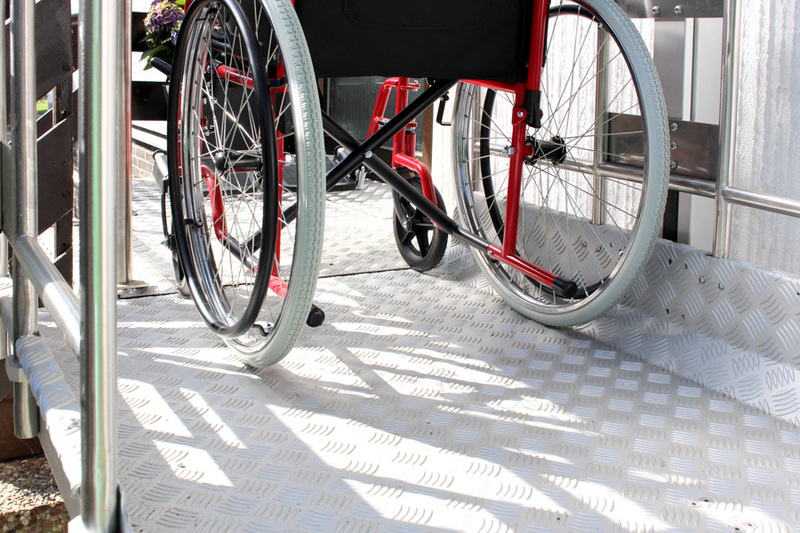 Whether the reasons are accident, illness or age: sometimes you may be limited in your mobility sooner than you would ever have expected, and especially in such a situation you will not want to do without your familiar life in your own house. 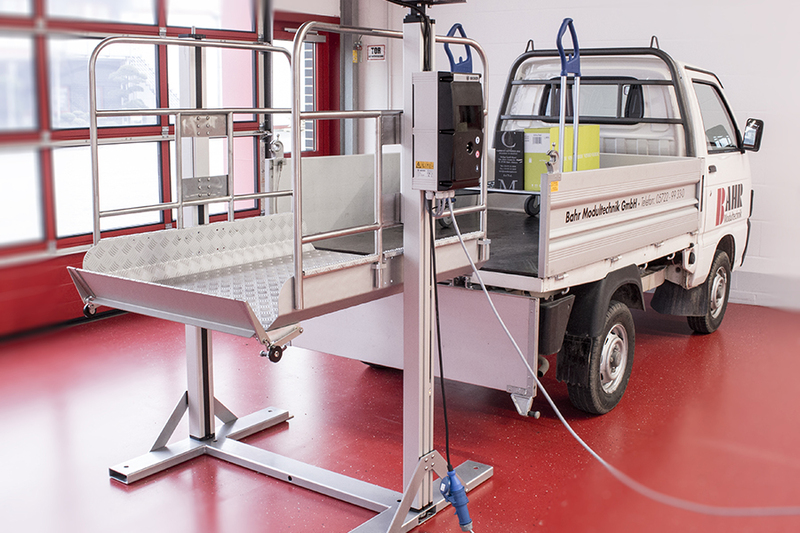 It was for precisely such cases, but also for numerous other application fields such as general load transport or canteens, that Dirk Bahr, co-founder and head of design at Bahr Modultechnik, has now developed a special lift system including a loading ramp with the assistance of Becker-Antriebe. “As an expert for drive and control units, we certainly offer systems for central home automation as well, which help to make life easier for elderly people or people with physical limitations. But what use are such systems if I cannot access my home on my own? Therefore, when Mr Bahr came to us with his idea and asked for our support, we were immediately ready to help – even if lift systems were uncharted waters for us, just as for Mr Bahr himself,” said Jens Hederer, who was in charge of the project at Becker-Antriebe. 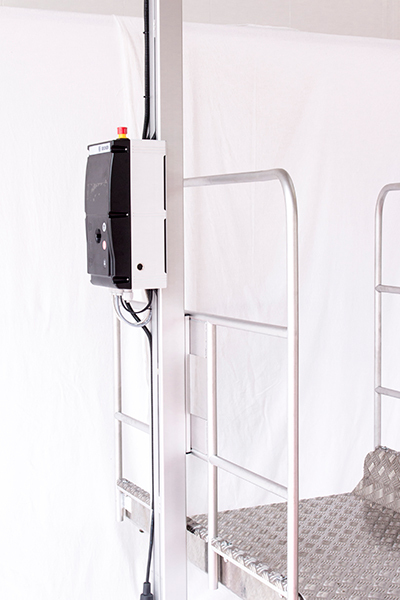 The desired comfort is achieved above all through the frequency converter control in addition to the adapted door drive with 112 revolutions per minute. 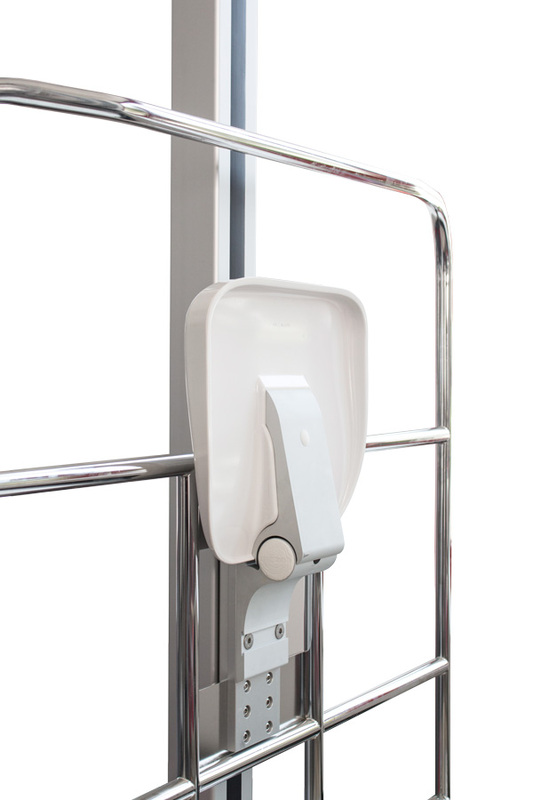 This enables soft starts and stops of the lift and thus also protects the mechanical parts from damages. Furthermore, apart from the speed, various safety aspects can also be addressed this way. For example, the lift only starts after its door has been closed. 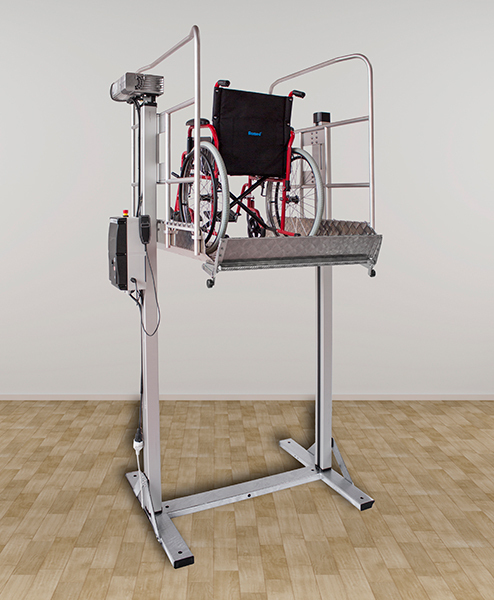 Once it is in motion, the standard version of the lift overcomes height differences of up to 1,20 meters without much effort and is capable of carrying a maximum weight of 400 kg. The special advantage of this system when compared to other products: it is directly available and can be installed quickly, without interventions in the building substance. “People who are dependent on assistance often cannot afford to wait for a lift for weeks,” said Dirk Bahr. Therefore, he wants to always have a sufficient number of his products in stock, which can then be mounted by a metalworker when and where required. 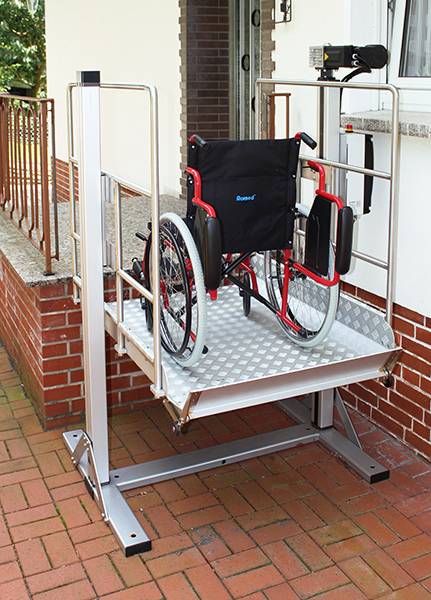 Such a lift system can also be installed in rented apartments without any problem. 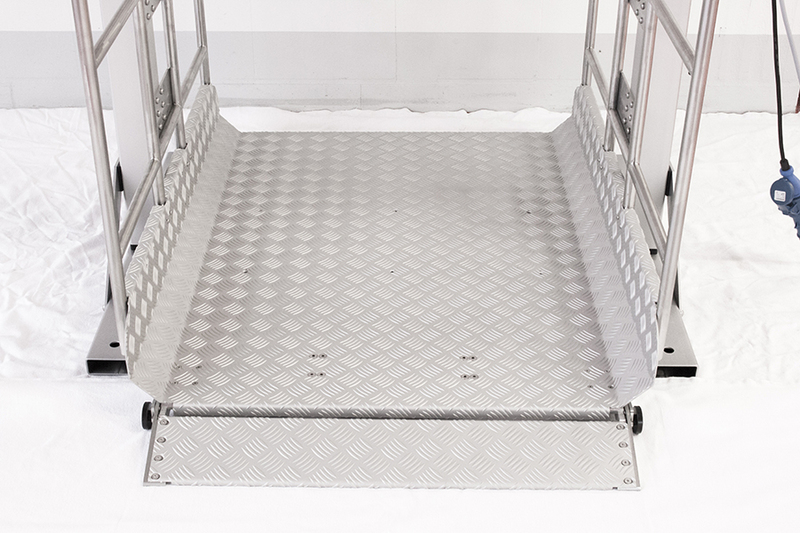 And when the lift is no longer needed, it can be dismounted very quickly due to its sophisticated design. One of the first models is in use at the home of Mr and Mrs Feldner. The 76 and 78 year old couple is happy to have found a simple solution to be able to live their lives in their own house also in the future. In order to meet the great demand, Dirk Bahr is presently looking for partners to whom he can deliver his lifts in a semi-finished state. The advantage would be that they can be adapted individually to the local requirements. And also Becker-Antriebe will continue to be a strong partner for Dirk Bahr. This first project has already shown that you can achieve even more when you join forces. 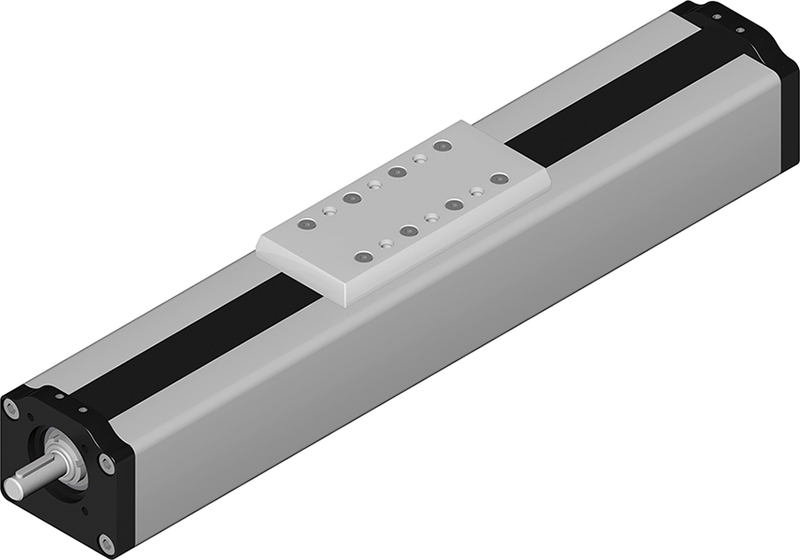 dynamism, but longevity, reliability and safety, therefore Bahr has designed this solution without cost-intensive guiding elements such as shafts or profile rail guides. 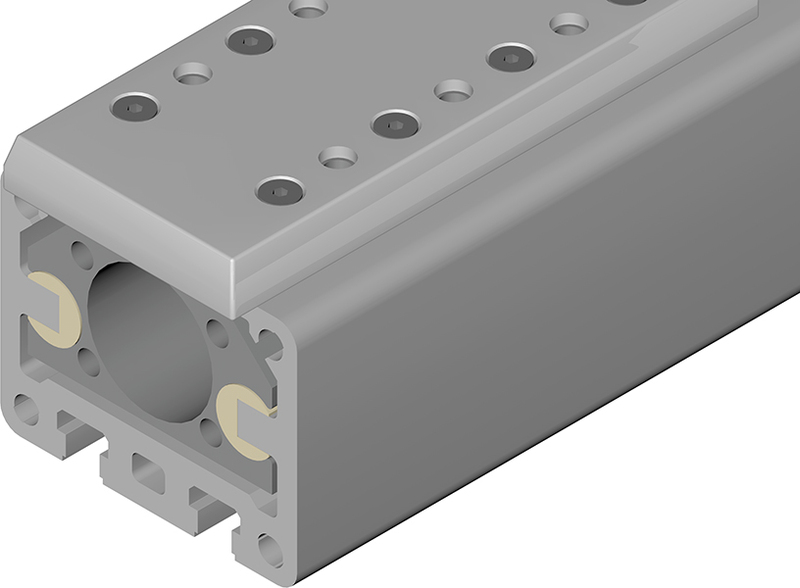 Instead, large slide bushes made of plastic material are integrated in the carriage and slide along internal grooves in the axis body. Due to the very low amount of friction between the plastic surfaces and the anodized profile grooves, the sliding guide is subject to very low wear. 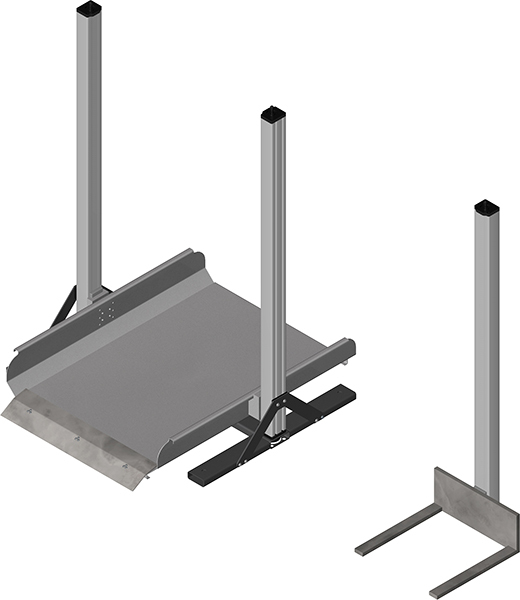 The guide body consists of an aluminium square profile with edge lengths of 90 mm; the carriage is driven either by a trapezoidal-thread or ball-screw spindle with an assigned follower nut. Bahr offers these axes with single or multiple trapezoidal-thread or ball-screw spindles in the formats Tr 24x5 or Tr 24x10, or Kg 25x5, Kg 25x10 or Kg 25x25, respectively. On request, the manufacturer can also provide the axes with a trap nut, which serves as an additional fall arrester in case of damages to the follower nut. The opening in the guide body is closed by a polyurethane cover band with steel mesh. Ball bearings at the carriage press the PU band into the profile, thus preventing material abrasion. 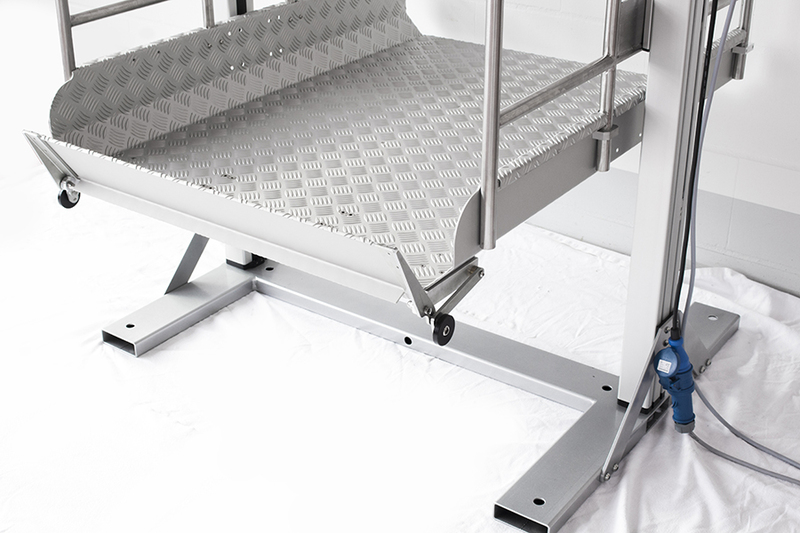 Due to the fact that only spindles, screws and ball bearings made of stainless steel are used, the GGT/K 90 units ensure optimum corrosion resistance. The axes are mounted either by the T-nuts on the bottom side of the profile or by means of boreholes in the bearing piece. 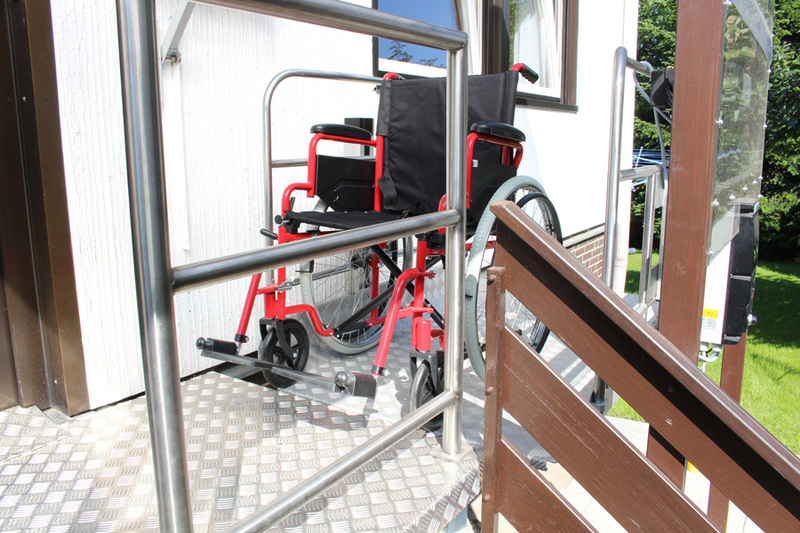 Whether the reasons are accident, illness or age: sometimes you may be limited in your mobility sooner than you would ever have expected, and especially in such a situation you will not want to do without your familiar life in your own house. 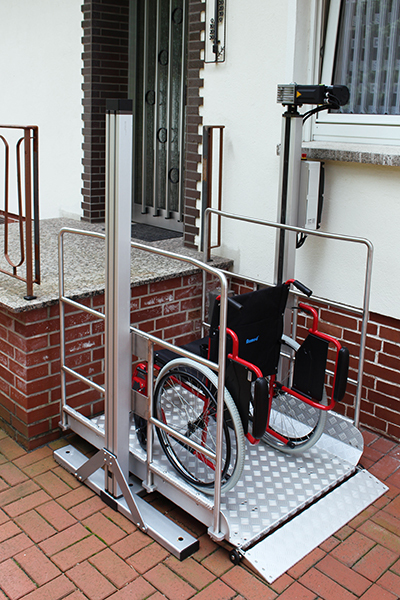 Our positioning system GG 90 has now been developed further into the special lift system GG 90 with loading ramp, which can help to make life a lot easier for elderly people or people with physical limitations. 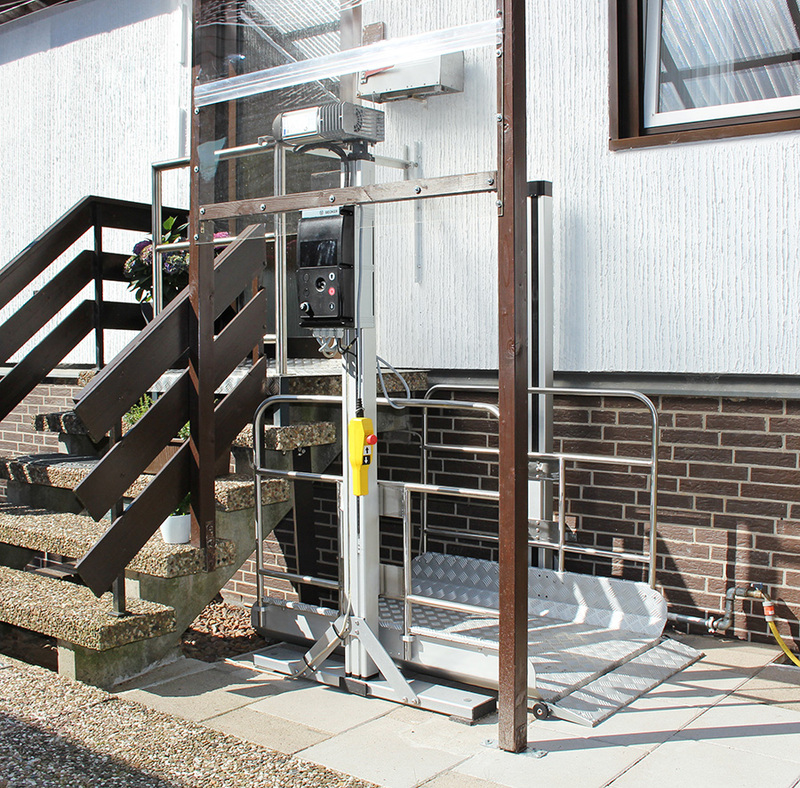 If required, the lift can be assembled directly on site and flexibly adapted to the local situation. 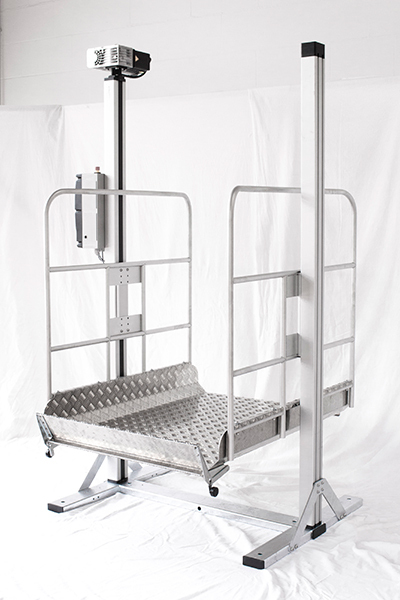 The lift system can also be installed in rented apartments without any problem. 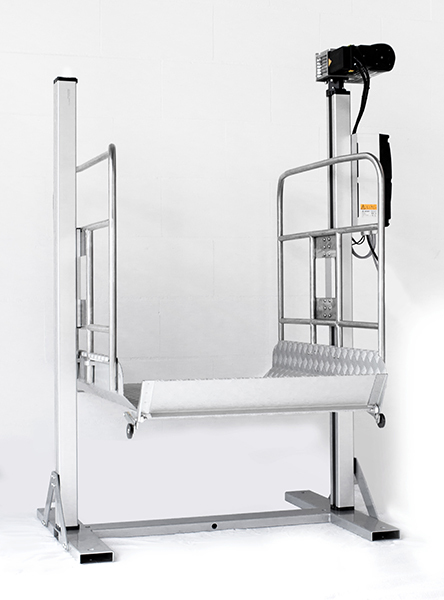 When the lift is no longer needed, it can be dismounted as quickly as it is mounted, due to its sophisticated design. 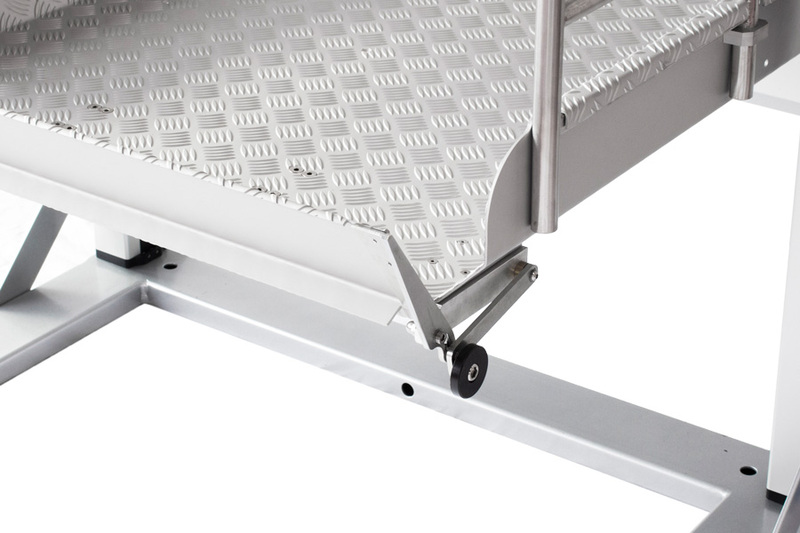 The desired comfort is ensured by the control unit, which enables soft starts and stops of the lift and thus also protects the mechanical parts from damages.